José Da Silva is the Director of UNSW Galleries with UNSW Art & Design. 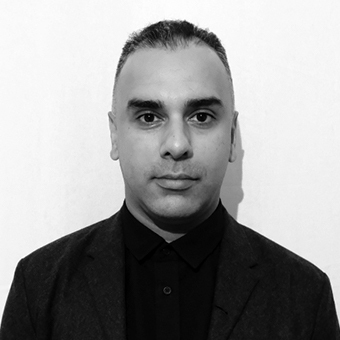 Da Silva has almost 20 years of curatorial and management experience in art museums, private and public-sector environments. For the past decade, he has delivered an ambitious program of exhibitions and projects at the Queensland Art Gallery | Gallery of Modern Art (QAGOMA), working across cinema, contemporary international art and performance. Since 2014, Da Silva has led the QAGOMA’s Australian Cinémathèque – an international market leader for the presentation of moving-image and media art. In roles at QAGOMA, Da Silva contributed to curatoriums for the influential Asia Pacific Triennial of Contemporary Art in 2006, 2009, 2012, 2015 and 2018, and curated the major exhibitions David Lynch: Between Two Worlds (2015) and Earth and Elsewhere (2013). Before working at QAGOMA, Da Silva was a curator of public art and design for Brecknock Consulting, developed industry initiatives for Artworkers Alliance, and was a project manager for Multimedia Art Asia Pacific (MAAP).